If you have lost a loved one, you’ll know that it’s hard to focus on what needs to be done in your time of grief. You might also not be able to cover the unexpected cost, an added worry while you are in distress. Jet Club is here to help ease with the financial burden. When a member passes on, we make a cash payout of 3 500.00. For a member’s partner, we pay out 1 500.00 in cash. Payout is done at any Jet store within 48 hours of approval. "I was 17 when my grandmother passed away,” writes Club member Liziwe. "She was the breadwinner. She used to make sure that every month I had money for toiletries and that my hair looked clean for school. The day she passed away, I felt so alone. I asked myself what I was going to do since I had to complete matric. However, my grandmother was part of the amazing Jet Club family, and her Funeral Benefit payout helped us so much in our time of grief. Today, I am 26 and I am also a Jet Club member, and I have peace of mind knowing that Jet can come to my kids’ rescue one day. Thank you, Jet Club! We contribute a small amount for the benefits but they make a huge and life-changing difference." Next of kin such as a parent, adult child, brother or sister. We’ll need an affidavit confirming the relationship for parents and adult child. A court letter of authority is needed for brothers and sisters. Family not directly related must have a letter of authority from the court, as well as the estate banking details. If the legal partner passes on, only the account or policyholder may claim. Notification of death BI 1663 (SA only). The deceased’s ID book and the claimant’s ID book. Marriage certificate, traditional marriage certificate or affidavit stating the relationship status if the partners had different surnames or if marriage certificates are not available. Non-direct family need a court letter of authority to claim. For death by unnatural cause, a police report is required. 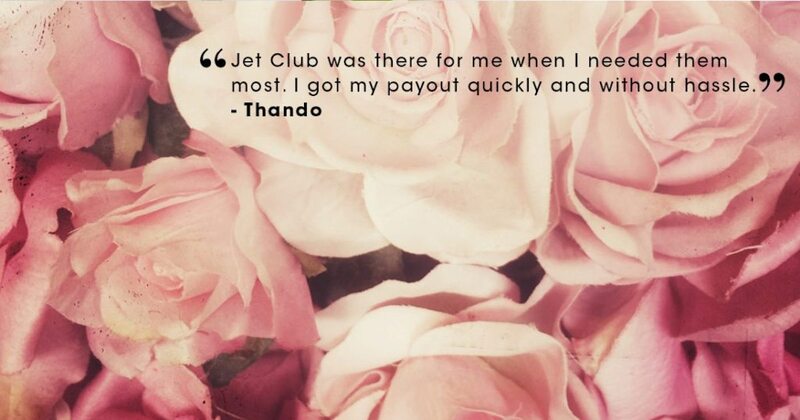 For more about the funeral benefit, contact Jet Club customer services on 0860 113 639 or email customerservices@edcon.co.za. For existing claim queries, contact Hollard at 0800 25 24 67 or email jetclubclaims@hollard.co.za. For the complete funeral benefit summary, go to www.jetonline.co.za. Jet Club is there to support you in your time of grief. Underwritten By Hollard Life Assurance Company Limited (Reg. No. 1993/001405/06), an Authorised Financial Services Provider. Edcon is a juristic representative of Hollard.